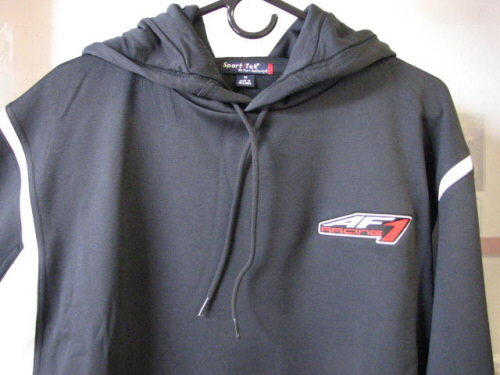 This polyester black hooded sweater is fast becoming the team gear of choice at AF1 Racing's downtown Austin location. Heavy and with a low loop synthetic fleece inner liner, this pullover sweater can keep you warm on colder days. 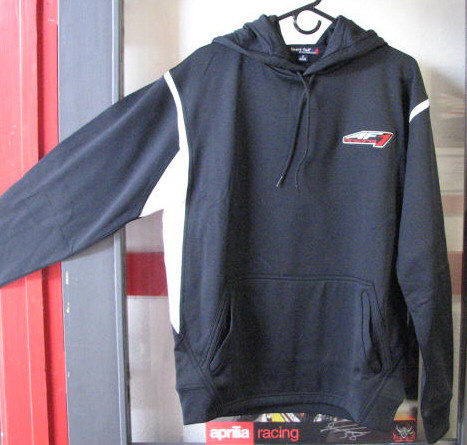 This black hooded sweater is a classy way to show your AF1 Racing spirit, even when the weather does not cooperate. Sweater features one AF1 Racing embroidered logo over the LH breast and draw string closure hood with kangaroo style hip pockets.